What Are the Side Effects of Lack of Vitamin D? Imagine being able to take one immune supplement that can ward off the flu, strengthen your liver and decrease inflammation. Some producers even claim it lessens the effects of cancer. Turns out that the benefits of this supplement -- Active Hexose Correlated Compounds -- are available in capsule form and can be purchased at most health stores. Consult your physician before beginning any treatment with a new drug or supplement. 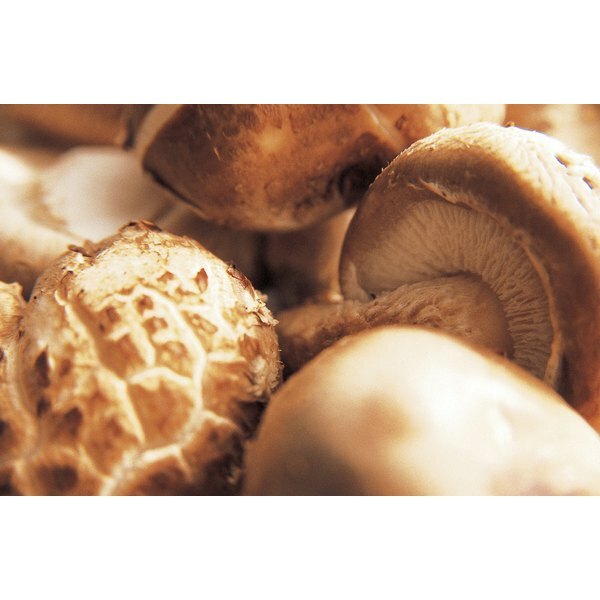 Yale medical researchers, together with researchers in Japan, have confirmed that the mushroom-based supplement AHCC boosts the immune system in a way that can prevent cancer in elderly people. In addition, studies in Korea and Japan have shown that AHCC can boost the body’s immune system to allow other treatments such as radiation or chemotherapy to work more effectively. AHCC has also been shown to help minimize the side effects of chemotherapy and radiation such as the vomiting, weight loss and decreased liver function. A study at Drexel University showed that AHCC increased the rate of survival of young mice with the influenza infection. A study on the avian flu, conducted at the College of Veterinary Medicine at the South China Agricultural University, suggests AHCC can stimulate immune response and help protect against viruses and infections. Research has shown that AHCC is even more beneficial when taken in conjunction with the flu shot. The liver is a hard-working organ that has many jobs, including detoxifying the blood, metabolizing carbohydrates and lipids, synthesizing protein and secreting bile. With all the many environmental and physical stressors on the body, the liver takes a lot of abuse. Evidence from in-vivo research, case studies and human clinical trials suggests AHCC acts as a biological response modifier that may protect the liver from damage, reduce the viral load of hepatitis patients and prolong the survival of patients with liver cancer. AHCC, produced from the mycelium of medicinal mushrooms, has been shown to support the immune system by increasing the production of the body’s “natural killer cells,” whose function is to destroy abnormal cells and invading organisms in the body. Although AHCC should not be referred to as a cure or a "magic pill," it can complement other pharmaceutical drugs and be effective in patient care. AHCC Research Association: What Is AHCC? Linchitz Medical Wellness, PLLC. : AHCC and Liver Health, Fred Pescatore, M.D. Rebecca Clem is an athlete, personal trainer and business owner. She holds a Bachelor of Science in kinesiology with an emphasis on sports medicine from Westmont College in Santa Barbara, Calif. Clem is a certified health/fitness instructor with the American College of Sports Medicine, as well as a corrective exercise specialist with the National Academy of Sports Medicine.